If you know me even just a little bit, you know that I am a passionate advocate for women and girls. Some might even call me a feminist, which I will proudly tell you I absolutely am. While I could spend the next hour writing about all of the issues I care about, instead I thought I’d take a moment to honor a woman who helped shape my world and my life – a woman who did her bit to ensure that my future would be bright, equal, safe and rewarding – my mom. I tell stories all the time about my crazy childhood, like the one about my dad leaving on Christmas Day when I was 7 or the fact that I lived in 13 states before I was 6 years old. I’ve also shared plenty of tales about my alcoholic step-father and the struggles of feeling “poor” around my wealthy friends. And while it’s true that these memories are sometimes gloomy or darkly comedic, they certainly do not overpower the happier days or moments of my childhood. In fact, what I realized recently was that, in the beautiful chaos that was my childhood, there was one constant force of strength and resolve, my mother. In the beautiful chaos that was my childhood, there was one constant force of strength and resolve, my mother. When I reflect on the craziest and darkest days, I also recall that there was always a bit of light and comfort. For instance, on that Christmas Day that my dad left us, I also remember receiving the Barbie dream house and a pile of hand knit clothes for our Barbie’s. You read that right, my mother had painstakingly knit clothes for our Barbie’s! More importantly, I also remember my mom wiping her tears away, taking a deep breath, pasting a smile on her face and sitting on the floor to play Barbie’s with us. In that moment, my mom showed me how to take one step at a time. 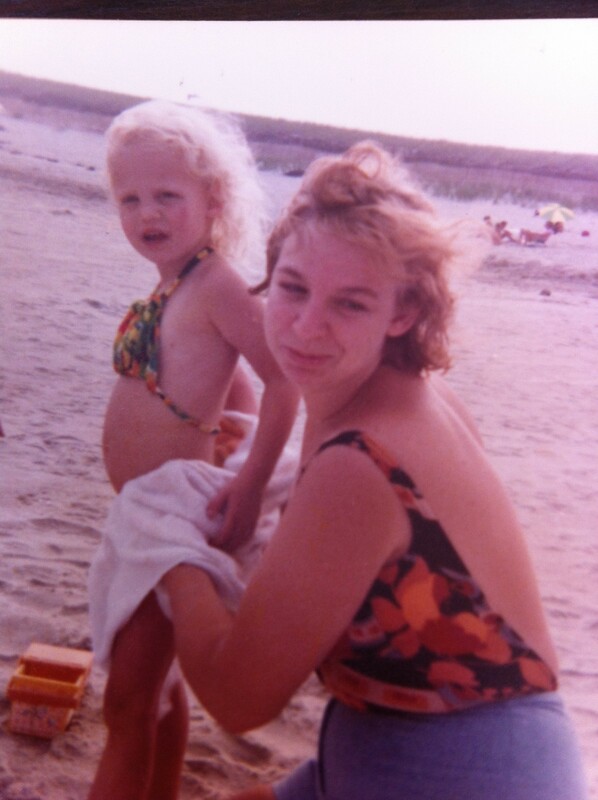 And in the years that followed, she taught me many more lessons. My mom taught me the importance of never giving up and how to be self-reliant. When my dad left, she took on three jobs and put herself through school to ensure that she could take care of us and herself. She taught me how to do laundry and the importance of paying bills on time. She instilled an incredible work ethic in me, which has served me well throughout my career. She taught me that it’s okay to cry and that, sometimes, you need to lean on others for support. As proud as she was (and is), she never put her pride ahead of her family. She never hesitated to ask for help. My mom showed me how to appreciate the simplest of things. She taught me how to make daisy chains and laid in the grass with my sister and me to watch the clouds roll by. My mom encouraged my active imagination and often joined in the fun. She didn’t laugh at me when I went on my Smurf hunts and often pitched in to help my sister and me make epic forts out of blankets. 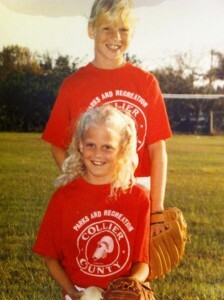 My sister and me in our awesome softball uniforms. My mom instilled self-confidence in me by supporting me and telling me how proud she was. 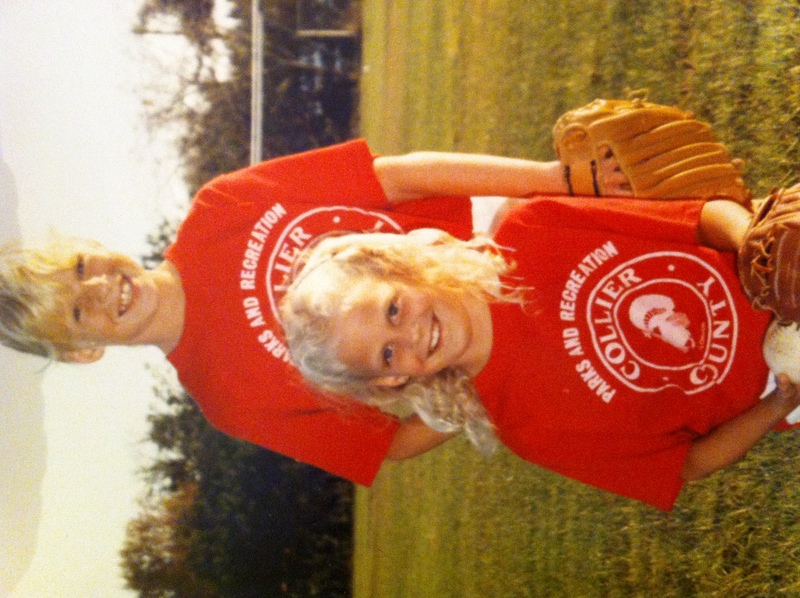 She drove my sister and me to and from tee-ball, which I apparently joined only because I wanted to wear the tall, striped socks. She taught our Brownie troop how to make macrame planters and volunteered as a cheerleading coach for our Pee Wee cheerleading team. She came to my high school track meets to watch me run the 2-miler – even though I was really, really slow. My mom taught me that funny is cool and laughter is the best medicine. She has a knack for finding humor in the worst situations, which is probably the most obvious trait I picked up from her along the way. She also tells the corniest jokes, which never fail to make me laugh out loud. My mom encouraged me to trust my instincts and follow my heart by trusting me to make my own decisions. She never doubted my ideas or choices, which gave me the courage to believe in myself. I never had a curfew and was a pretty responsible teenager, often serving as a designated driver for my friends (you know who you are!). When I abruptly decided to join the Air Force with my sister, my mom smiled and said congratulations. And by the way, that was probably one of the best decisions I’ve ever made! Go Air Force! Like most moms out there (including me), I know that my mom sometimes worries that she somehow wasn’t the best mom because she couldn’t give us the Leave it to Beaver childhood. But the proof is in the pudding. She raised four children in sometimes incredibly difficult circumstances, loving and supporting each of us every step of the way. So on this International Women’s Day 2013, I would like to say thank you to my mom for being such a steady and constant force in my life. Thank you for giving so much of yourself to ensure my future would be bright, equal, safe and rewarding. I hope that my journey in life has made you proud and that you know how much I love you. Happy International Women’s Day to each and every amazing woman and girl in the world. Wow Monica. Thank you so much. This means the world to me. It helped that I have four awesome children and I am so proud that you have all turned out so well. I don’t know of four more different individuals but I just figured that I had success in wanting you to each have your own ideas and beliefs and not mine. I love you. Oh this was such a BEAUTIFUL tribute to an amazing woman!! You have endured so much together and all she did to help you grow is truly a blessing to you! Love this post!! What an absolutely beautiful tribute to your mom. “she never doubted my ideas or choices, which gave me the courage to believe in myself” This is what I hope my kids will say about me when they grow up! Thanks, Lina. I hold the same hope. It’s tough and rewarding being a mom and sometimes the hard days overshadow the good ones. I hope my daughter remembers the butterfly walks we went on or the endless games of dress up! Oh, and how many times I endured the Spice Girls movie with her.